In this AHRC-funded research network we will look at the implications for global film culture of the apparent shift in power relations between the developed and developing world, along with the increasing emphasis national and transnational organisations place on the role of ‘soft power’ in global foreign policy, focussing specifically on the BRICS. Individual members of this group, most obviously China and India, have been much discussed in this context. However, the diverse, and often competing ways the group as a whole engages with film as a medium of artistic expression, on the one hand, and a soft power ‘resource’ on the other, along with the wider implications for world cinemas of its members’ very different, and dynamic, positions within the global media landscape, remain to be investigated comparatively. The project is timely, given the following: soft power is an explicit element of the current (2012 start) Chinese government five-year plan; one of the EU’s strategic objectives is to promote culture as a vital element of EU international relations; and the first report of the UK House of Lords Select Committee on Soft Power and the UK’s influence (‘Persuasion and Power in the Modern World’) was published last year (2014) and was widely commented on in the international press. As well as drawing on evidence from representatives of British commercial interests, culture industry representatives and academics (including members of Leeds’ Centre for World Cinemas), the committee made reference to the so-called ‘rise of the rest’ and very notably sought and reproduced information on soft power issues relating to BRICS countries (especially China and Brazil). Thus the time is clearly ripe to explore in greater detail the employment of soft-power strategies by emerging nations, in order to nuance discussions on what successful soft power ‘looks like’ in different parts of the globe, and by providing analysis from the perspective of film culture. The network builds on both the connections established and the research findings of a World Universities Network-supported project entitled Film Policy, Cultural Diplomacy and Soft Power (2012-2014), which brought together scholars working on cultural policy issues relating to soft power in China, Hong Kong, Denmark, South Africa, Brazil and the UK, with a focus on how policymakers seek to achieve soft power objectives, and how they negotiate artistic, economic and political networks. Find out more about our members and our academic network. The central theme of the proposed research network is an investigation of the relationship between non-state actors in the cultural industries of the BRICS countries and national ‘soft power’ strategies, with a particular focus on the nature and function of the film industry. The network will look comparatively at the engagement by filmmakers, producers, distributors and exhibitors with the soft power/nation-branding agendas of their country in order to ascertain whether this engagement is explicit or implicit, what forms it takes, and with what results. It seeks to investigate the competing pressures across the BRICS that shape the ways its members understand film as a vehicle of soft power, exploring the role soft power plays along the industry’s entire value change, from production to consumption, as well as the way it influences the types of films audiences around the world get to see. Its ambition is to take World Cinema research in a new direction by proposing a methodology to evaluate cinema’s weight as a soft-power asset, taking as a starting point an analysis of both on- and off-screen stories. When considering film as a soft-power asset, must we distinguish between production aimed at domestic and overseas audiences? How might filmic narratives intended for an overseas audience differ from those for domestic circulation, and has the new ‘soft-power agenda’ made an impact on the kinds of narratives/representations that are being produced? If BRICS countries are victims of sustained negative stereotyping at the hands of foreign filmmakers, what is this impact of this (perceived or otherwise) on national narratives? What place does such a narrative currently hold in BRICS countries? How stable is the narrative and what are the implications of narrative instability for film industries and soft power generation? How are films perceived to affect this narrative and how might reputational damage, for example, be quantified? What is the relationship between international co-productions and national narratives, in the context of soft-power generation? International network conference "Cinema, soft power and geo-political change"at the University of Leeds. Find out more about soft power and film, with network member Robert Saunders, in conversation with Vlad Strukov. Podcast: Imagining the BRICS: Case study Brazil. 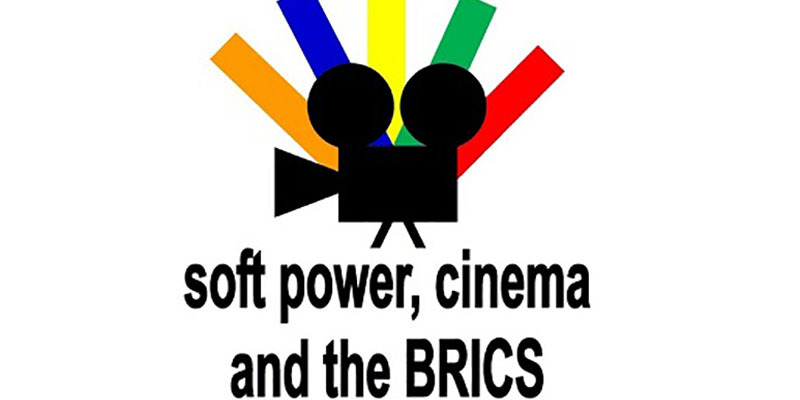 Cinema Soft Power and the BRICS: an AHRC Network from Paul Cooke on Vimeo. Stephanie also co-curated and introduced two films at the successful Brazilian Film Weekender at HOME in Manchester 21-24 July 2016. This was the first time HOME, who host the annual Viva Spanish and Latin American film festival, has focused on Brazilian cinema. Network steering committee members discuss film and soft power in The Conversation. The conference features an exceptional selection of papers by international academic speakers as well as additional film-related events and round-table discussions with festival organisers. It takes place at The Carriageworks, Leeds.